Big Data & Data Science Blog: Big Data Analytics, but what type? Big Data Analytics, but what type? In today’s climate, businesses are already aware that if they don’t make the most of their data, they will be left behind by the competition. They know that traditional Business Intelligence (BI) systems are no longer enough. All around them, they hear people talk about Big Data, Data Analytics, Data Science and more. They read leading consultancy reports that predict that an increasing number of businesses will enter these industries in the coming year. They have started to invest resources in their data storage. However, after all this they don’t know how that draw out value from this information. As you can imagine from the title, in this post we are going to explore the different types of Big Data Analytics, what they consist in, how they can be used in the market, and how specific businesses are currently using them. All this information will give us an insight into which type is best suited to specific businesses. 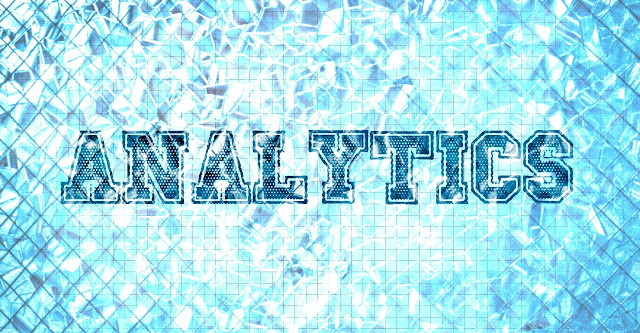 The first step is to decide which type of analytics your business needs. This is not a trivial question, since there are no “universal analytics” that work for each case. Traditionally, one would work with analytical tools in a reactive way. These tools are capable of generating reports and visualizations about what has happened in the past, but they do not offer useful information about possible business opportunities or problems that may arise in the future. This led to a need for a movement towards Predictive Analytics as well as the Descriptive Analytics that already existed. The world saw a move from linear analytics in a controlled environment, towards analytics that can be applied in a real world (i.e. less structured) environment. This need is still to be fully fulfilled, shown by the fact that technology consultants IDC estimate a Compound Annual Growth Rate (CAGR) for the Big Data and Analytics industry of 26.4% by the end of 2018. In this article we will define Descriptive, Predictive and Prescriptive analytics in order to reveal what each type can offer to businesses who want to improve their operational capabilities. This is the most basic area of analytics, and is currently used by around 90% of businesses. Descriptive Analytics answers the question: What has happened? It analyzes historical data and data collected in real time in order to generate insights about how past business strategies have worked (for example, a marketing campaign). Application: Using tools such as Google Analytics to analyze whether a promotional campaign has worked well or not, with the use of basic parameters such as the number of visits to the page. The results are usually visualized on “Dashboards” that allow the user to see real-time data and send the reports to others. This is the next step in reducing data into insights, and according to Gartner, 13% of organizations use such techniques. This type of analytics answers the question: What may happen in the future based on what has happened in the past? It analyzes historical trends and data models in order to try to predict how they will behave in the future. For example, a company can predict their growth by extrapolating previous behavior and assuming that there would be relevant changes in their environment. Predictive analytics offer better recommendations and answers to questions that BI cannot answer. Figure 2: The different types of analytics. This type of analytics goes one step further, as it aims to influence the future. As such, it is known as “the final frontier of analytical capabilities”. 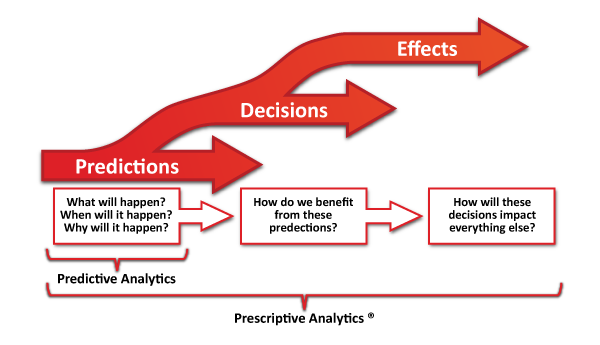 Predictive analytics can suggest which actions to take in order to achieve a certain objective. Prescriptive analytics does this as well, but also suggests the possible effects of each option. Figure 3: The three phases of analytics. Aims: Prescriptive analytics don’t just anticipate what is going to happen, and when, but can also tell us why. Further still, it can suggest which decisions we should take in order to make the most of a future business opportunity or to avoid a possible risk, showing the implication of each option on the result. Examples: Prescriptive analytics is useful when making decisions relating to the exploration and production of petrol and natural gas. It captures a large quantity of data, can create models and images about the Earth’s structure and describe different characteristics of the process (machine performance, oil flow, temperature, pressure etc). This tools can be used to decide where and when to drill and therefore build wells in a way that minimizes costs and reduces the environmental impact. Application: Health service providers can use such analytics to: effectively plan future investments in equipment and infrastructure, by basing plans on economic, demographic and public health data; to obtain better results in patient satisfaction surveys and to avoid patient churn; to identify the most appropriate intervention models according to specific population groups. Pharmaceutical companies can use it to find the most appropriate patients for a clinical trial. We don’t have a crystal ball to tell us which numbers will appear in the lottery, but it is evident that Big Data technologies can shed light on current problems in our business, helping us to understand why they are happening. In this way, we can transform data into actionable insights and reinvent business processes. 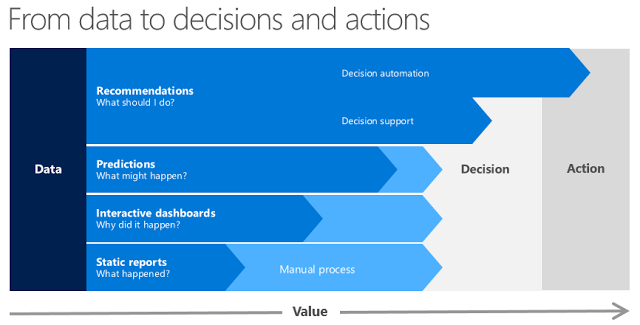 Figure 4: Infographic - from data to decisions and actions. We have moved from the question of “what has happened?” to being capable of understanding “why has it happened? We can predict “what is going to happen?” and prescribe “what should I do now?” Now, we can truly create an intelligent business.